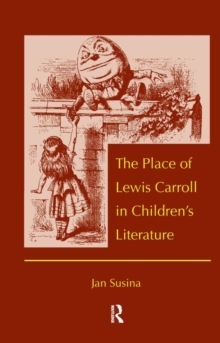 In this volume, Jan Susina examines the importance of Lewis Carroll and his popular Alice books to the field of children's literature. From a study of Carroll's juvenilia to contemporary multimedia adaptations of Wonderland, Susina shows how the Alice books fit into the tradition of literary fairy tales and continue to influence children's writers. In addition to examining Carroll's books for children, these essays also explore his photographs of children, his letters to children, his ill-fated attempt to write for a dual audience of children and adults, and his lasting contributions to publishing. The book addresses the important, but overlooked facet of Carroll's career as an astute entrepreneur who carefully developed an extensive Alice industry of books and non-book items based on the success of Wonderland, while rigorously defending his reputation as the originator of his distinctive style of children's stories.